In the fall of 2018, Rohit Inani, a freelance journalist based in New Delhi, contacted Medic after reading my 1998 interview with Bao Ninh. Rohit, who admires Ninh’s work, asked to be put in touch with Ninh. Several weeks later, with help from the Joiner Institute, and the Vietnamese Writer’s Association, Rohit interviewed Ninh in Hanoi. Since Bao Ninh famously avoids the press, Rohit’s essay, first published in the 1 September 2018 issue of The Caravan, an Indian monthly magazine with presence in other South Asian countries, is a major literary event. BAO NINH SETTLED INTO his chair and ordered for tea. He put a pack of Camel cigarettes on the table and looked out of the window. “It’s not a good time to come to Hanoi,” he said. Ninh is handsome, with a thatch of wavy, ash-grey hair and deep, glum eyes. “Shall we begin?” he said. “Don’t have much time. I might have to undergo a surgery tomorrow.” In the first week of May, Ninh was diagnosed with a cancerous tumor, the consequence of years of dependence on alcohol and tobacco, a habit he acquired after he returned home from the war, to a troubled post-war life, writing and drinking from night till dawn in his home, at the time a squalid pad in Central Hanoi. As the sounds of victory dimmed, Vietnam, finally reunited after decades of war, came to terms with the price it had paid to realize a long-cherished dream. The country had been devastated, its cities and towns ruined by unabated aerial bombings. Five million hectares of forests and vegetation were destroyed by high-grade explosives and chemicals, including an estimated 43 million litres of Agent Orange. Over three million Vietnamese people had been killed. And with plummeting Soviet aid at a time of international isolation, the nation’s socialist economic model had completely collapsed. In 1986, after almost a decade of high inflation and widespread poverty, the Communist Party took measures to liberalise the economy, a move that became known as the Doi Moi reforms, and led Vietnam, two decades later, to become one of the world’s fastest-growing economies. In 2008, The Economist called it “Asia’s other miracle” after China. The current generation of Vietnamese adults is too young to remember the war. On the margins of this shift stands Ninh, author of the country’s most cherished war novel, who not only spoke to the generation that fought the war, but humanised its victims, and in doing so, broke away from Vietnamese officialdom, which remained a cocktail of patriotism, glory and propaganda. At the height of the war, radio broadcasts in Hanoi and most of north Vietnam described the war as “just,” asked for the “devotion” of the North Vietnamese Army troops toward the Communist Party, and routinely referred to the south as a “puppet” administration of the United States. 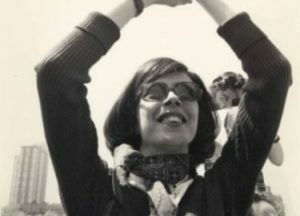 On 5 March 1969, a regular bulletin on Hanoi Radio, one of the few radio stations operating out of Hanoi at the time, called on the soldiers, whom it described as “compatriots,” to show that “their absolute loyalty to the Party and the Revolution has helped … develop … resourcefulness and liveliness in fighting and vanquishing the enemy.” After the end of the war, the official party discourse focused on the heroic efforts of the soldiers and their sacrifice for the country, but suppressed stories of their suffering and cruelty during the war. “It was crucial when it came out and remains crucial today, when many Vietnamese either do not know anything about their wartime past or would choose to forget what they know,” Viet Thanh Nguyen, the Pulitzer prize-winning Vietnamese American writer told me over email. But while an entire generation is putting its past behind it, attempting to find a new national identity, Ninh is reluctant to move on. 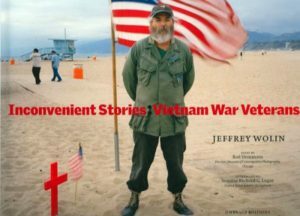 In Hanoi, I interviewed several of his friends, writers and veterans, most of whom spoke of his two defining traits, traits that have remained unchanged for years: his silence, his sadness. One afternoon, over vodka and endless cigarettes in the conference room of the Vietnam Writers’ Association, an official culture association under the Communist Party, some of Ninh’s closest writer friends sat at a long teakwood table and waited for lunch to be served. Most of the gathered were member associates. “Ninh is always silent. He never talks about his book, his writing, anything. We all are used to it,” Nguyen Chi Hoan said. “You never ask him why?” I asked. He laughed. “We don’t dare ask him that! Here, we respect and appreciate his silence.” Hoan pointed to Dao Ba Doan and urged him to speak. “He has spent a lot of time with Bao Ninh! Mr. Doan, tell us about Bao Ninh,” he said, in jest. Doan, a poet, popped open a can of beer, took a long swill and then slowly jutted out his right arm horizontally, then swung it toward his head, the tip of his index finger stiff and perpendicular to his temple. “There is still a big sorrow in his head,” he said. “Only Vietnamese can understand the sorrow in his mind.” Others let out sighs and nodded in agreement. Then, breaking the silence in the room, the doors were thrown open. “Ah! Ân trưa ở đây!”—“Ah, lunch is here!” Doan said. “Damn it, what are you trying to say?’ Kien asked. Ninh, like Kien, enlisted with the NVA at the age of 17 after dropping out of high school in 1969. He was among the thousands of young men who answered the call of the Communist Party to fight the Americans and unify Vietnam. 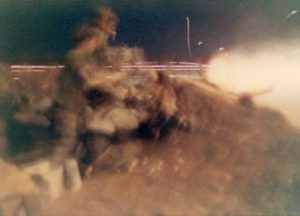 Ninh answered the call “just like any other Vietnamese at the time,” he told me, cigarette smoke spiraling around his face. “You were eager and excited to do that.” When he showed up at the recruiting camp, he was greeted by performers singing songs of glory, drumming up the patriotic spirit of the young fighters. By the time the war ended, the soldiers who survived returned to the North as victors. They were hailed as heroes by the government, but Ninh came back devastated. “Each day brought new nightmares; even my parents feared me. 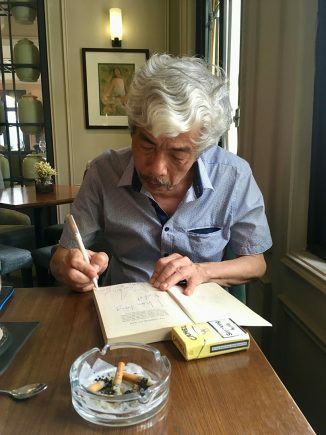 I was keen to forget the war, but it refused to release its grip on me,” he told a gathering at the Southeast Asian Literature Forum in Taiwan this March. In the novel, as Kien recalls his fallen comrades, he comes to grip with the horrors of war, and while moving month after month through the “mountains and jungles, water-soaked and dull… muddy as all hell,” ghosts are resurrected as the wandering dead, who come to haunt the living. 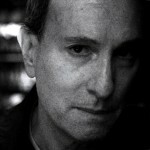 “The dead step from every corner, every house, every jungle trail, creating a narrative structure that feels like a tide coming in and washing out—relentless—more like labyrinth upon labyrinth than any solid Aristotelian form,” noted the Canadian novelist Madeleine Thien, writing about the novel on the PEN America website. Viet Thanh Nguyen elaborated on this aspect of the novel over email. Linear, coherent storytelling in regards to the war and the revolution are the features of government-sanctioned storytelling, in films, novels, and especially historical museums. This kind of storytelling pins all the blame on enemy outsiders and internal traitors, and paints the soldiers, guerrillas, and revolutionaries as optimistic, noble patriots. Bao Ninh’s novel tells a radically different story about how these young patriots were utterly destroyed by the war. That much is coherent. But when one is utterly destroyed, can one be coherent? That core trauma is ultimately revealed by the end, and we finally understand why the novel could not be narrated in a linear fashion. This is a terrific move by a novelist who understands, implicitly or explicitly, how trauma works. In The Sorrow of War, after Kien returns to Hanoi, he looks back at his years, and reminisces. From now on life may be always dark, full of suffering, with brief moments of happiness. Living somewhere between a dream world and reality, on the knife-edge between the two. I’ve lived all these lost years. No one to blame for that. Not me, not anyone else…There’s a new life ahead of me, and a new era for Vietnam. I have to survive. But my soul is still in turmoil. THRUST INTO THE WORLD amidst the sounds of bombs exploding, Ninh was born in 1952, on the day the French attacked his village in the Nghe An province, west of the gulf of Tonkin. After the defeat of the French army and their subsequent withdrawal from North Vietnam in 1954, his family moved to Hanoi. His father—who was a lifelong communist and a party member—was the director of the Vietnam’s Linguistics Institute. Ninh considers his father an influence, and he came of age in a house that resembled “a jungle of books,” Nguyen Quang Thieu, a poet and vice president of the writers’ association, told me. 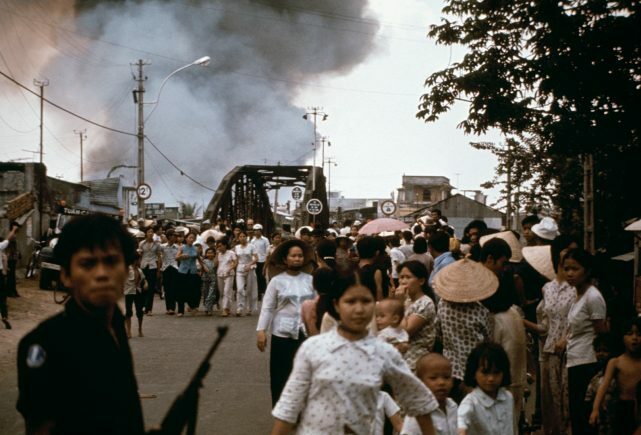 In 1975, after spending years on the war-ravaged Ho Chi Minh trail, and being witness to some of the most intense and brutal fighting, Ninh ended up with the NVA regiment that had earlier bombed and captured the Tan Son Nhut airport in Saigon. He returned to Hanoi in 1981 and began writing after a few years. For a brief time he worked odd jobs in the city’s old quarter, sometimes selling bicycles, Phan Thanh Hao, a poet and one of his translators into English, told me. Ninh struggled to write. “I was not good with words and could not express the pain deep in my heart,” he told the gathering in Taiwan. “It took me a decade to gather the courage to put The Sorrow of War down on paper.” Ninh briefly enrolled in a writing course at the Nguyen Du Writers School—named in honour of the famed Vietnamese poet—and it was here that he wrote his most famous book, as part of his graduation project. The English-language manuscript—which, according to some accounts, was smuggled out of Vietnam by a young British translator in Hanoi—landed on the desk of Geoffrey Mulligan, then an editor at Secker and Warburg in London. He rang up Frank Palmos, an Australian war correspondent, and asked if he knew Bao Ninh. “Of course,” Palmos said. “I had coffee with him just yesterday in Hanoi.” Mulligan commissioned Palmos—who had covered the Vietnam war and published a book about it, Ridding The Devils—to write an English version based on the raw translation by Hao. When the book appeared in Europe and North America, it caused a sensation, for this was the first time that Vietnamese soldiers had been shown to have suffered as much as the Americans. “It was a way of letting the world know that even if we had won the war, deep inside us we knew we didn’t,” Phan Thanh Hao told me. I arrived in a bleak Hanoi housing project to meet this gifted, wasted writer. I was haunted by his lyricism, his stirring passion, his quiet and desperate sadness. 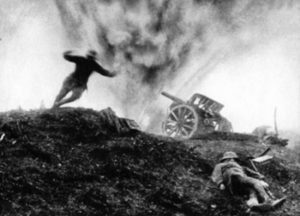 I never forgot the image of him when I left his squalid flat – slightly drunk at 11 in the morning, laughing at nothing and no one, deeply nostalgic and horribly and irrevocably maimed by the things war does inside your head. TODAY, OVER FORTY YEARS since the fall of Saigon, Vietnam seems to have moved on. Over 60 percent of Vietnam’s population is under the age of 35 and too young to recall the sacrifice of their parents’ generation that fought the war. Vietnam’s first post-war generation is coming of age in a market economy, with their ambitions fixated on the pursuit of a prosperous future. Flush with youth and hope, the war, to them, is part of the distant past. In 2014, in a survey conducted by the Pew Research Center—an American think tank—on emerging and developing economies, 94 percent of Vietnamese polled were optimistic about a better future for the next generation, and 95 percent were supportive of a free market economy. “War in our mind is a part of history. Many people sacrificed their life to protect our country. It brought pain, suffering and famine … but because of war Vietnam now has happiness, fulfilled life and peace,” Le Xuan Huy, a young, bespectacled university student, told me. We were at Swing, a retro-style cafe in Hanoi, which transforms into a live music cabaret by night. On that night, it was already booked for what Huy described as a “mini show” by members of a university club called “Voluntary Arts Team” from the Academy of Journalism and Communication, a top college in Hanoi. “Is it called Steppe?” I asked Ninh. In Hanoi, Ninh’s unpublished work has acquired a mythical quality. As Bass wrote, after his brief visit to Ninh in 2008, “I have not personally verified the existence of these manuscripts, which have assumed a status in Vietnamese literature comparable to Captain Ahab’s great white whale—doubted by many, believed by some, seen by few.” His friends and contemporaries in Hanoi, who, in frustration and desperation, have tried to find either Ninh’s manuscripts or an answer to his reluctance to publish, were met, unanimously, with his silence. “He would just look away and smile. Then, silence,” Nguyen Quang Thieu said. Once, Pham Xuan Nguyen invited Ninh for a round of drinks and asked about the second book. He was met with the same response, but Pham decided to take him on. “You are a one-book writer. 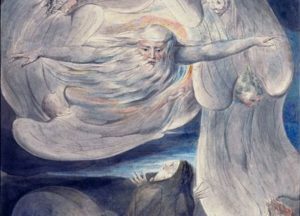 One-book writers are not real writers. 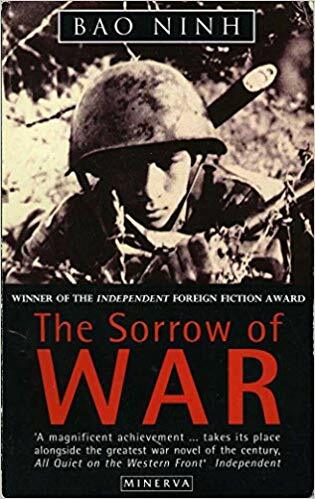 You have to write another book.” Ninh shot back at him, in anger, “When the book is published, you will see how it explodes.” This was some years ago. He got up to leave, saying he was getting late for his appointment with the doctor. “All the best for the surgery,” I said. Rohit Inani is a journalist based in Delhi. He has contributed to, among other publications, TIME, The Nation, and Himal Southasian.